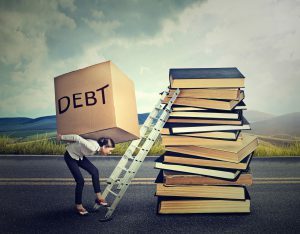 There are many different kinds of debt individuals can have. However, the Fair Debt Collection Practices Act does not relate to all of them. Debts acquired by a business are not covered under the FDCPA. Also, non transaction debts, such as fines, traffic tickets, or other municipal fees, are not shielded. The law only shelters “consumer debts.” A consumer debt, under the FDCPA is commonly one that is personal in nature and concerns to a transaction entered into between an individual and a merchant. Debts in bookkeeping are demarcated under two different categorizations. One grouping involved is either a secured or unsecured debt. The other grouping involves a debt being revolving or non-revolving. A secured loan is described by the need for collateral. This provides the moneylender the security that the borrower will pay them or they risk losing the collateral placed on the line. On the other hand, an unsecured loan is branded by the absence of collateral. The security of the creditor is placed upon the high-interest rate that the debtor has to pay for on top of the principal loan amount. A revolving debt does not have a fixed amount of payment every month. The alterations are based on the actual balance of the loan. A perfect example is a credit card debt. You could be paying more for this month than the previous one, especially if you used your card for a purchase. On the other hand, a non-revolving debt is a type of loan that has a fixed payment. Irrespective of how high the interest rate index goes, your payment will remain the same. A revolving debt is actually more dangerous than a non-revolving one because it has the more perspective to grow. A lot of folks who find themselves deep in debt are those who have a lot of revolving debt. Cultivate a more focused debt collection strategy to help reduce costs, save time, and maximize resources. Whenever you decide to borrow money, whether it is to pay the bills or buy a luxury item, make sure that you comprehend the contract fully. Know what type of loan you’re getting into and whether it is tied to any of your possessions.